Coming or going Abroad - need a reliable taxi service? any other UK destination and provide a prompt and efficient service every time. We understand that if you are coming or going into the UK to or from a long trip on the plane then you need a reliable, prompt taxi service to meet your needs. Taxis Luton provide an excellent service at great prices to take care of all your long distance and airport taxi transfer needs. We are not just airport taxi specialists, we go anywhere! Do you require a taxi at short notice such as tonight, in the next hour or day? Are you landing or departing at a UK airport and need a reliable taxi service? Are you going on a distant journey and you need a taxi? We specialise in transporting passengers to and from London Luton Airport, but we can provide taxis to go to and from all major airports and to and from all UK destinations. We do not charge waiting time or parking charges. We have a fixed price policy. No need to worry about delays or hidden charges. We aim to beat any genuine quote! Taxi transfers to and from all destinations in the UK including London, Luton airport, Heathrow airport, Gatwick airport, Stansted airport, Manchester Airport, Birmingham airport transfers, race courses, business trips, holidays, days/nights out. We pick up and drop to and from any destination in the UK. We may price match and beat your best quote for a long distance taxi transfer. for taxis in luton and surrounding areas. Distance is no object. NO WAITING CHARGES, NO PARKING CHARGES, FIXED PRICE TAXI FARES. taxi to or from london luton you have come to the right place. and just fixed low taxi prices! We will not be beaten on price and service to or from Luton or Luton airport!. CHEAP LONG DISTANCE TRAVEL RATES WITH TAXIS LUTON. Luton Taxi service, we aim to be the best taxi service to or from Luton and Luton airport . 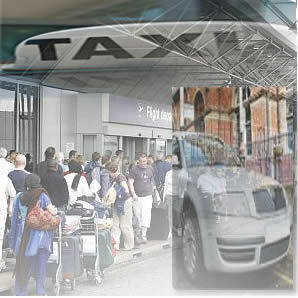 Taxis luton provides a fast and reliable Luton taxi service to and from Luton and Luton airport. Our 24-hour driven cars are available at Luton airport . Luton Airport Taxi office open 24 hours a day, 365 days a year and we would be delighted to take you to any London airport or other destination around UK. Harpenden to heathrow taxis cabs, St Albans mini cab to Luton, St Albans, Dunstable, Redbourn, or harpenden to Heathrow terminals 1, 2, 3, 4, 5 and Gatwick and Stansted airport transfers, cheap reliable rates.